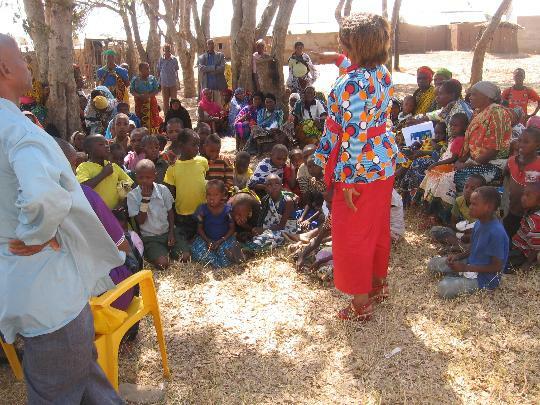 OVCT is educating orphans and vulnerable children with their caregivers and the other villagers at Utaho "A" village on how to proctect the children and develop them in getting education, etc. 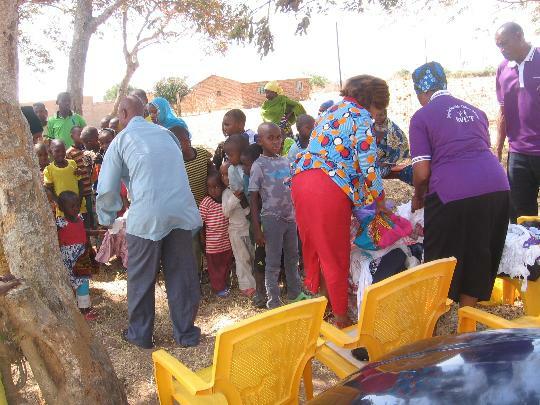 The event took place on 26th January 2019 while OVCT members went to that village and work in educating the children and the caregivers, also sensitizing the other villagers to look, remember the orphans and vulnerable children by the eye of supporting them wherever they are. 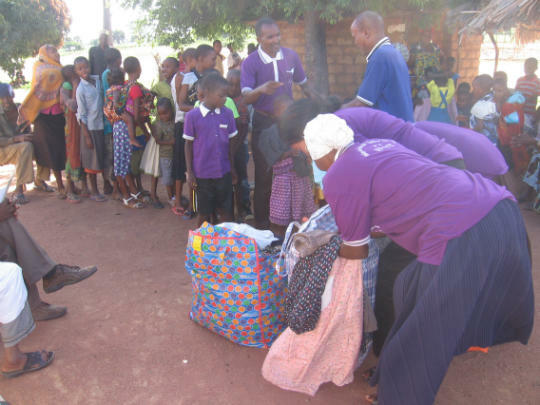 OVCT members are providing clothes to the orphans and vulnerable children at Utaho "A" village on 26th January 2019. This support is enabling children to have clothes as one of the basic needs in life. At Mampando village on 3rd November 2018, OVCT has worked in supporting orphans and vulnerable children 154 with clothes. 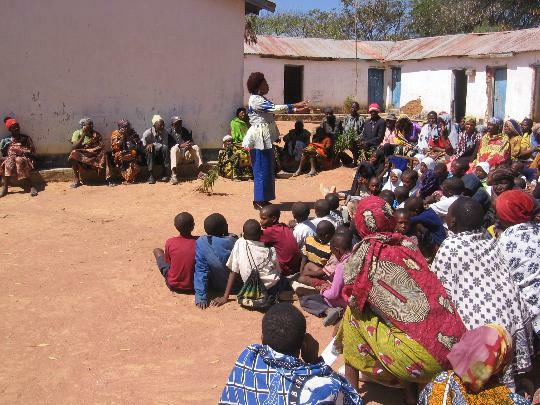 One of the OVCT members is educating the caregivers about how to fight discrimination against the orphans and vulnerable children. This was done at Ulyampiti village on 6th October 2018 by OVCT. 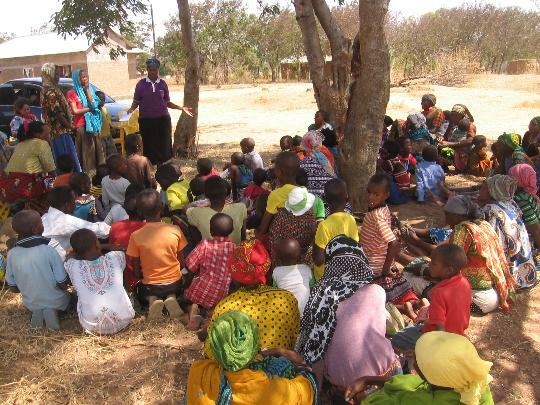 Education is facilitated to the orphans and vulnerable children with their caregivers about Child's Rights. 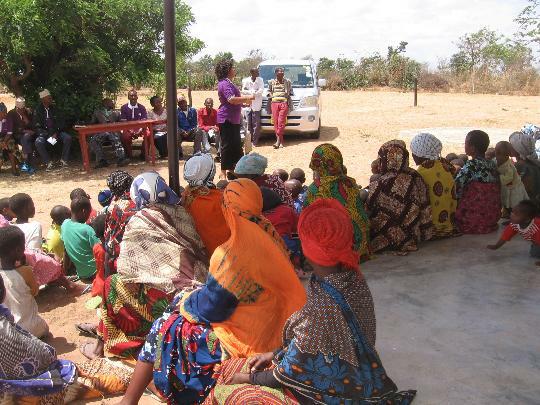 One of the OVCT members is educating the targeted people at Ulyampiti village on 6th October 2018. 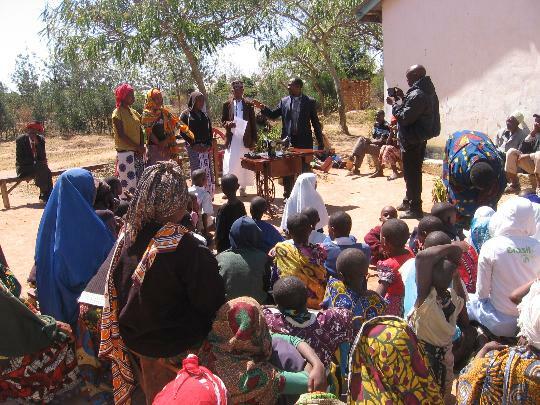 A facilitator from OVCT organization is training the orphans and vulnerable children and youth, caregivers and the other villagers about Child Righs (Protecting the children from being entering the child laboring to the towns and cities. But instead the children should attend schools for building their good future. 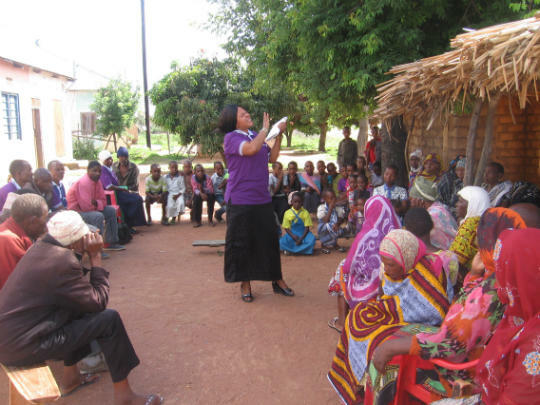 Also the caregivers were reminded to make sure that their children are going to school for their education. This event took place at Dung'unyi village on 14th July 2018. 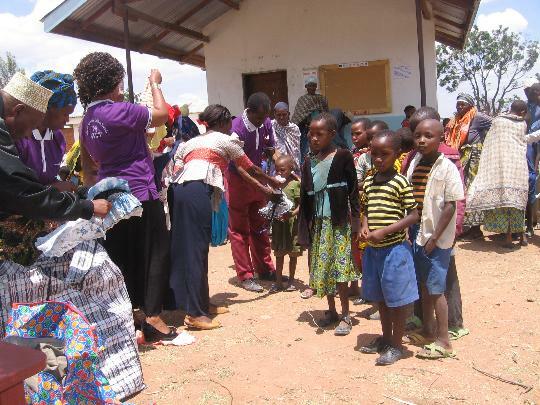 On the same day of 14th July 2018, OVCT provided clothes to the orphans and vulnerable children at Dung'unyi village. 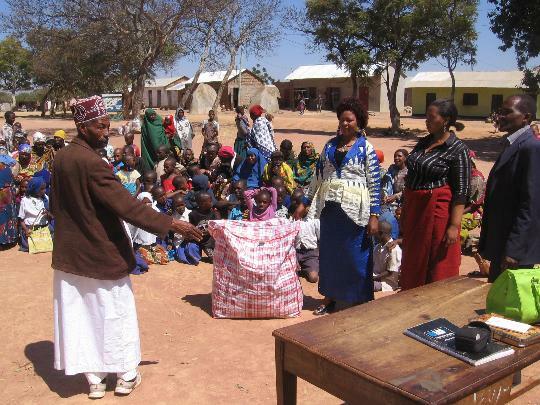 About 87 orphans and vulnerable children and youth were given a material support like clothes, pen and pencils. OVCT at Dung'unyi village on 14th July 2018 has brought a sewing machine so that orphans and vulnerable children and youth be trained about Tailoring. On the same day, 2 of the daughters were ready to be trained. Among those standing front side near the sewing machine, are the OVCT leaders, A Tailoring teacher Maria Charles, Sara Petro and Leocardia Mathias the youth who are ready to start being trained about Tailoring.